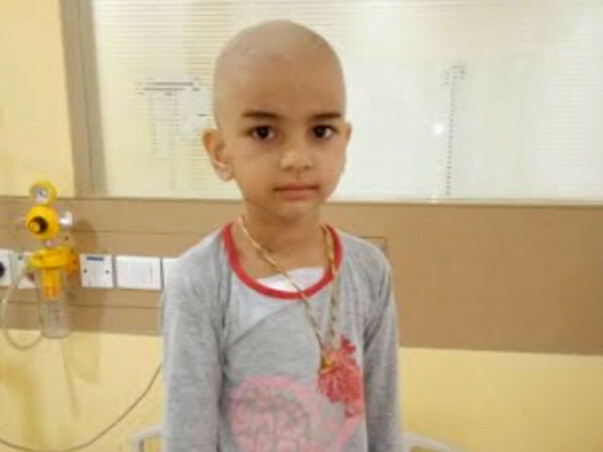 5-year-old Sunidhi is suffering from a condition called Primitive Neuro Ectodermal Tumor(PNET) of Pelvic Bone. She has to undergo surgery but before that, she needs chemotherapy to control the cancer. 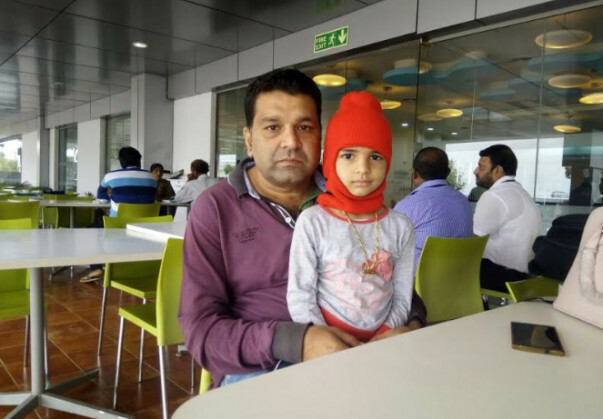 Sunidhi's father, Deepak, has been trying his best to arrange for funds to save his daughter from this dreadful condition but in vain. He had to quit his job to care for her. 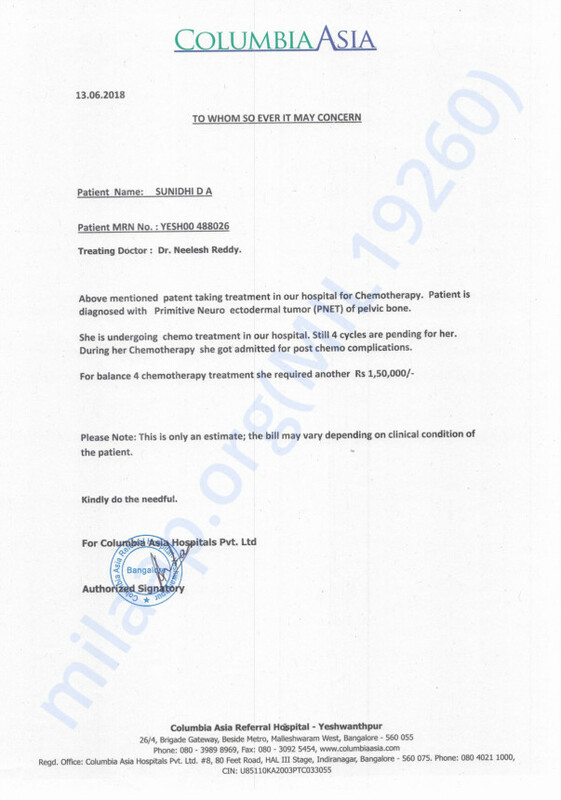 Sunidhi was diagnosed with this condition a year ago, since then she has been on treatment. Deepak has exhausted all his money for the treatment so far and is struggling to pay for the chemotherapy sessions. 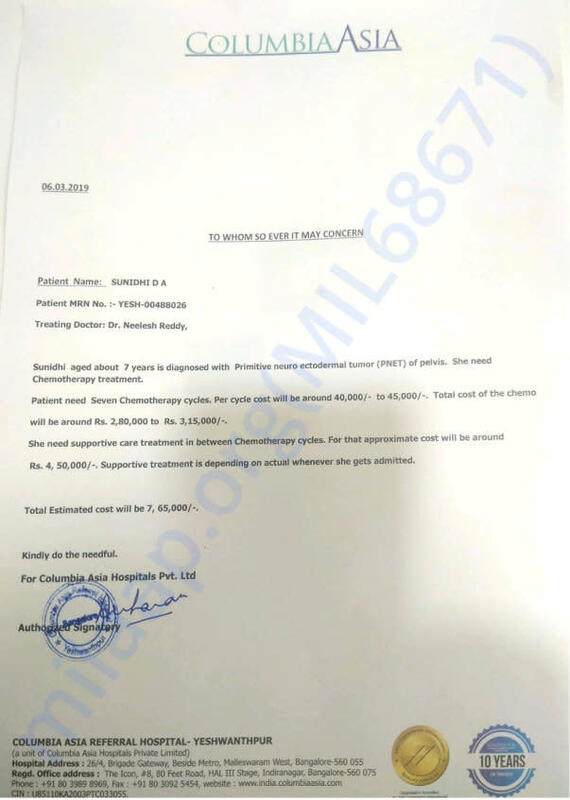 She needs 16 cycles of Chemotherapy and after four cycles, she has to undergo surgery.The cost of the treatment is 8.5 lakhs. 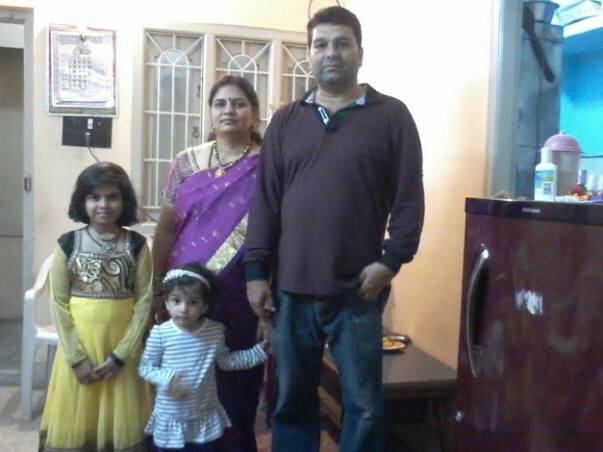 The family is helpless, hoping some support will come in to save their little daughter. 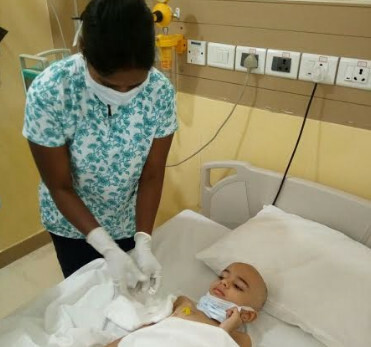 Your contribution will help to keep little Sunidhi alive. 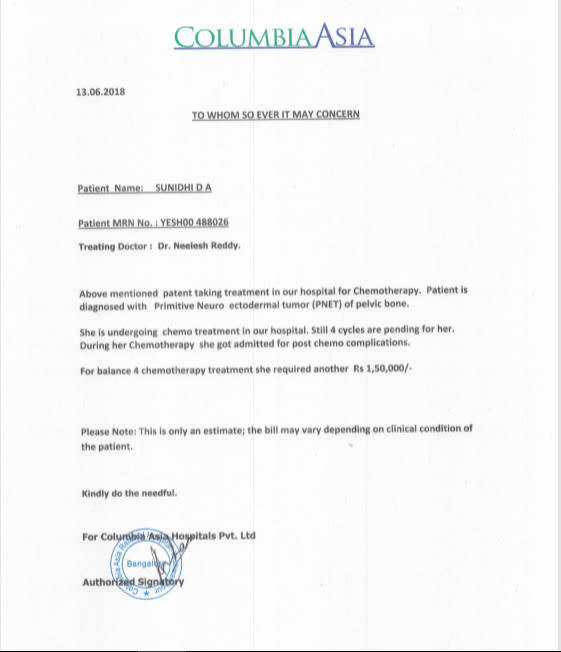 Sunidhi is diagnosed with Primitive Neuro ectodermal tumor of pelvis. She needs to undergo her chemotherapy session again to cure her tumor. She also needs a supportive care in between her chemotherapy sessions, hence we are staring a new campaign for her. Please come forward and help her again. Please click on the link below and help her to get rid of the cancer. Also, we are attaching letter from the hospital. Thank you for the wonderful support that you have shown towards my daughter. She has undergone 14 cycles of chemotherapy so far and she has side effects like hair fall, body pain nausea etc. The doctors suggest that she will be recovering from them soon. There are two more cycles scheduled after which she will be undergoing a few tests. Based on the reports of those tests the doctors will be able to suggest the future course of action. To meet these expenses we are increasing the target amount by ₹1.5 lakhs. Here is an update on Sunidhi. 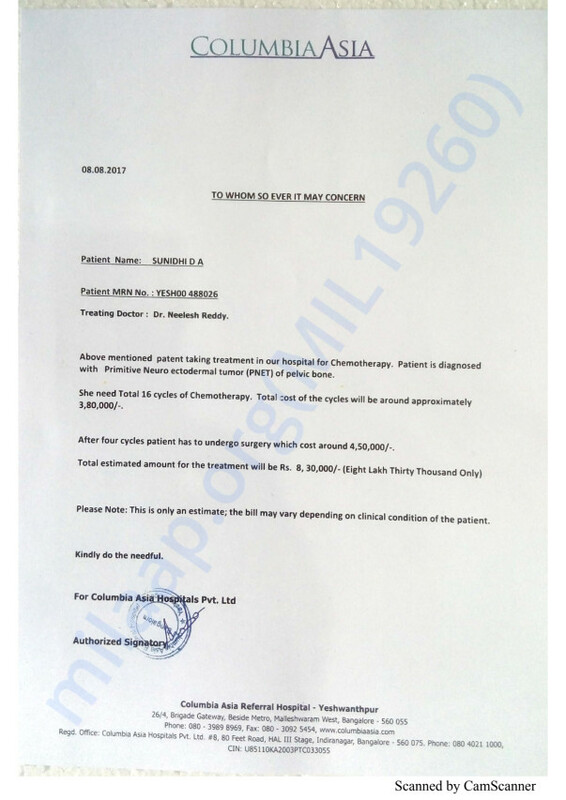 Sunidhi has undergone four cycles of chemotherapy so far. We have to visit the hospital every day for next 31 days for the therapy. She is responding well to the treatment and there is less pain for quite some time which is a positive thing. However, there are some side effects because of the therapy - weight loss, vomiting, and inactiveness. She still has to go 12 more cycles of chemotherapy. Please pray for her health and speedy recovery.